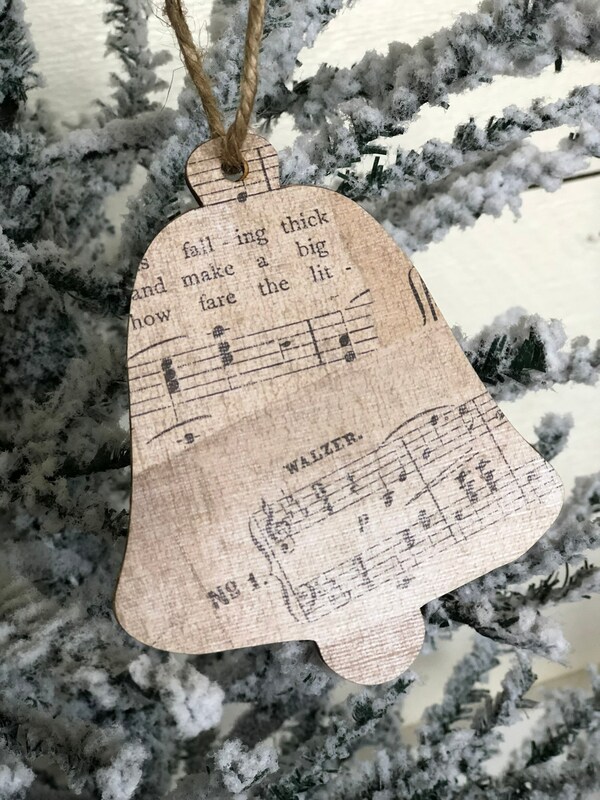 Vintage style Music Sheet Bell shape ornament. 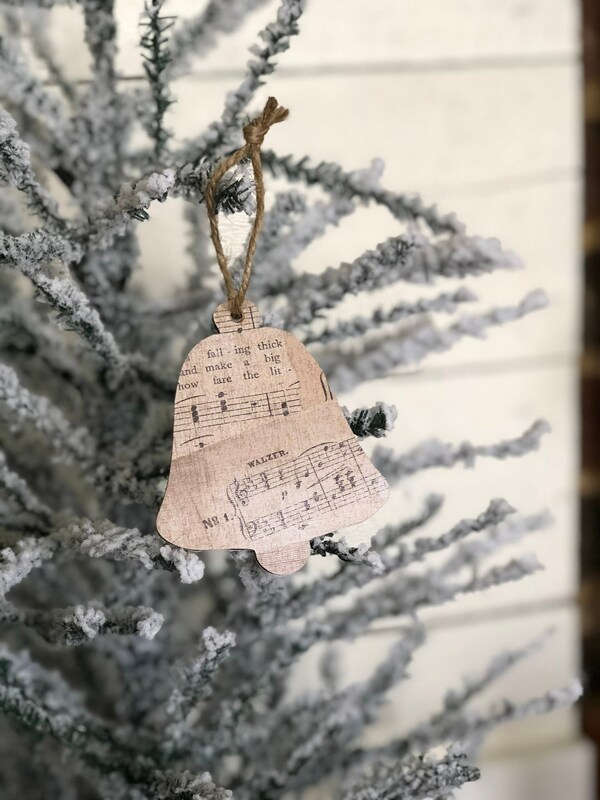 How these ornaments are made. 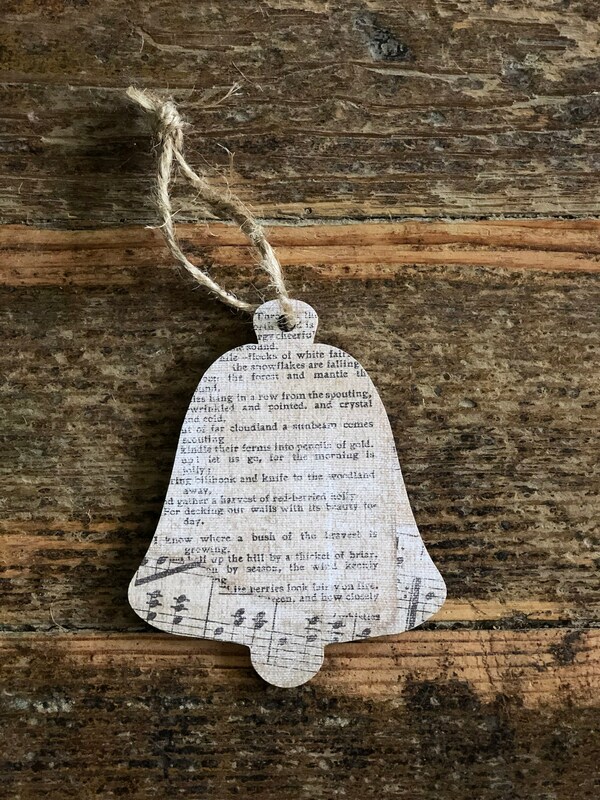 First I laser cut the image from cardstock, then cut the bell shape from wood. Then I apply the cardstock image to the wood, front and back using decoupage.